'The Tempest' is a eminent drama by English playwright William Shakespeare. It is known that, it was composed from 1610 to 1611. This play is written in the end time of the writer's life. The drama story is based on an island. 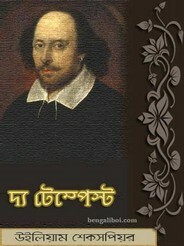 Shakespeare is a global playwright. Human sabotage is the content of most of his plays. All readers can get this drama book in a pdf file absolutely free.